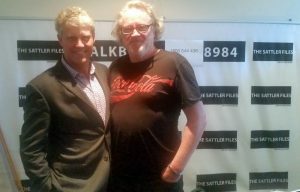 An interview with Thomas Murrell on The Sattler Files by Tom Tapping. The changing economy in Western Australia as more professionals leave the corporate world to set up their own consultancies. There is a lot to learn about running a professional consultancy. Client acquisition still remains the main challenge for consultancies and High Viz for Small Biz Mastermind helps overcome this. Numbers extremely limited so book here.